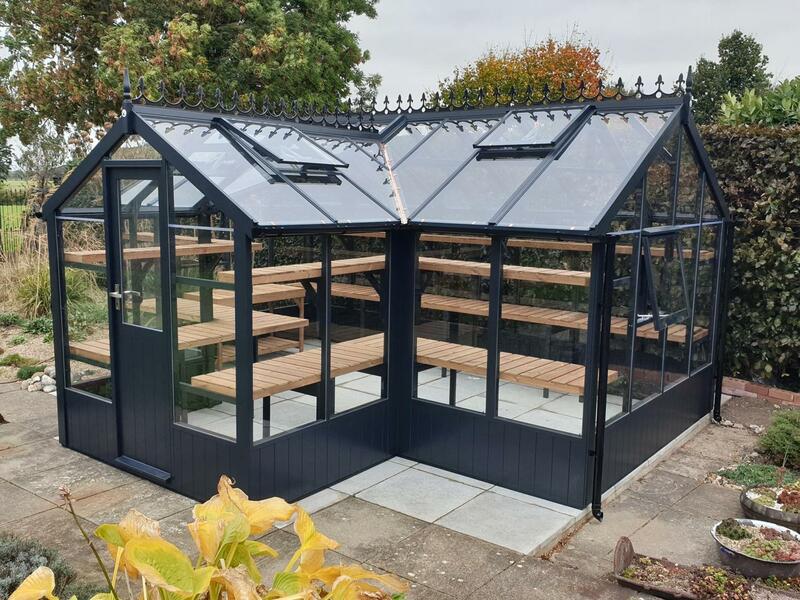 The Swallow Mallard Greenhouse is a larger version of their award winning T-Shaped orangery style Cygnet wooden Greenhouse. The Mallard has an 8ft gable width giving lots of room for your plants and maybe a comfy chair to relax in! Swallow Mallard Greenhouses are made from Scandinavian ThermoWood®. This new high-tech timber is specially heat treated up to 215 °C to remove excess moisture and resin, preventing warping and protecting from rot. Standard features include 3mm toughened safety glass, automatically opening roof vents and slatted staging.